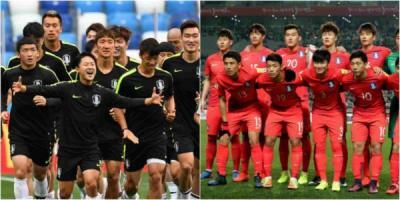 South Korea is featuring at the ongoing Russia 2018 World Cup, and their coach Shin Tae-yong hopes his side’s first World Cup opponents will be hampered by not being able to distinguish between several of his players. Shin’s men kick off their World Cup campaign in Nizhny Novgorod on Monday in what has been described as a must-win match, with Mexico and Germany the other opponents in Group F.
‘We know this is a major tournament at a single location and it is very much likely your opponents will send out scouts to spy on your team. We have made preparations for them and we are capitalizing on the fact that our players look alike and so they switch numbers on every training day. This will make them quite uneasy to identify by spies” the coach told reporters. The farthest the South Korean team had gone at a World Cup tournament was the semi-final when they co-hosted with Japan in 2002.